Elizabeth Arden's new fragrance, Untold, is no-doubt going to be a crowd-pleaser. After all, this is the same brand that is also known for its other perfume classics, Red Door and Green Tea. Unlike Red Door and Green Tea though, which trade heavily on the brand's well-known heritage and legacy, Untold aims for a scent and feel that is a little more contemporary, while still retaining the company's brand name. Untold: A modern, soft, and feminine fragrance that isn't too sweet or cloying. In that way, the drive towards modernity for this particular perfume launch means that it will be its own fragrance, and nothing quite like Red Door or Green Tea. Red Door was powdery and heavier, perhaps a reflection of how perfumes were in the 80's, while Green Tea was a lighter, citrus-y wisp of a fragrance. Untold, while different, is by no means a bad fragrance at all. In fact, I have to say, after a few weeks of sniffing, I quite like it - it is indeed modern, soft and feminine without being cloying, or annoying. The first few notes, primarily driven by the bergamot, evaporate quickly, and the fragrance quickly moves from top to middle notes. Here I get mostly pear and jasmine on me, although there is more that my nose couldn't quite discern (gardenia and pink pepper, among others). All in all, the main notes of the scent are definitely white florals. But these are not your huge gusty, sharp floral bouquets that blasts off the smell receptor in your nose. On the contrary, the floral notes are quite pleasant, and although not particularly unique, and there is a creaminess to the middle notes that make it warm and cosy feeling, too. Side note: The bottle is actually a lot prettier in real life. I just am not that great at artsy photography! The base notes on me are primarily amber, with a hint of musk. I suspect depending on your personal chemistry, you might get more or less musk, but on me, the amber is predominant. (Then again, you're talking to someone who got tons and tons of watermelon out of Issey Miyake's L'eau d'Issey, which I doubt is a common experience.) Regardless of how much musk you get, I found the drydown to be my favourite part of the perfume (always a plus, since that's what stays on!). Unlike so many other department store florals that end up with a sickly-sweet artificial vanilla that makes you wonder if you put on some sugar-drenched tween spritzer by accident, Untold's combination of amber and musk make it warm and alluring, but not sweet or cloying. Which is perfect for me, since as I pass my quarter-century mark of living and breathing on this earth, I find my scent preferences veering towards florals and ambers, rather than overly gourmand scents (though I still do love a good vanilla). A combination of creamy warm florals, amber, and musk, Untold is extremely wearable, even to the office. Notes aside, sillage on this perfume was quite conservative - chances are, unless you really have a super-fragrance-intolerant colleague, you will be able to wear this at the office all day long with no issues (tried and tested by yours truly). Once the middle and base notes kick in, the scent pretty much clings to your body, so while this might disappoint some perfume fans who prefer perfumes that make a statement, this is really a very office-friendly scent. 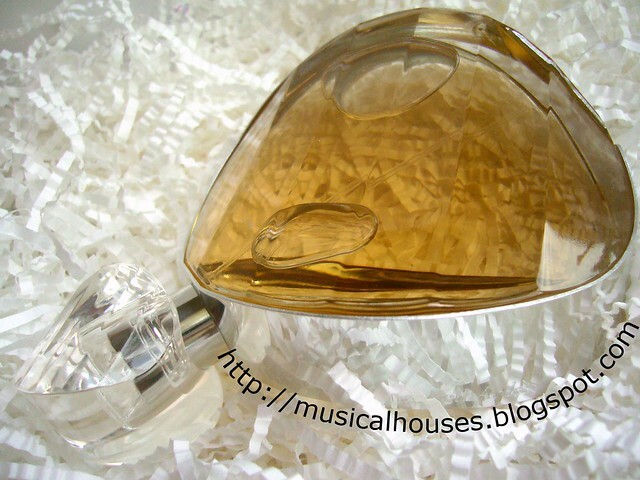 Its combination of creamy white florals, amber and musk also means that this is pretty much a crowd-pleaser - while it is true that perfumes are a very idiomatic and personal thing, I really can't see anyone violently objecting to this scent (unless they dislike all perfumes in general), since the floral-amber blend is quite universal and sillage is not too wide. So yes, if you're thinking of getting this as a gift, it will be fabulous, too, provided the girl you are buying it for does wear perfumes. 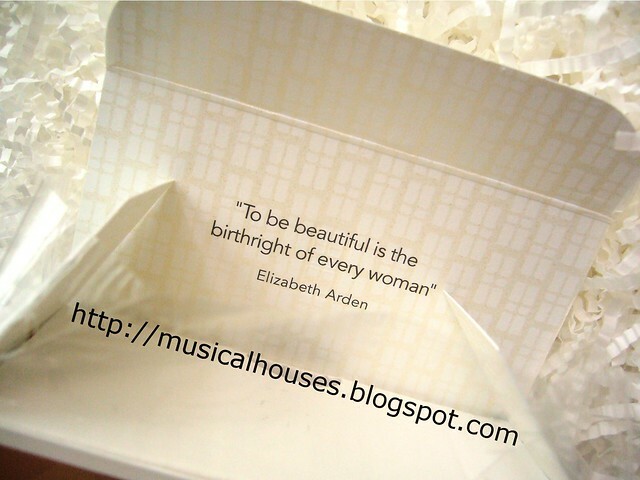 Love the Elizabeth Arden quote that accompanies the perfume box, too! 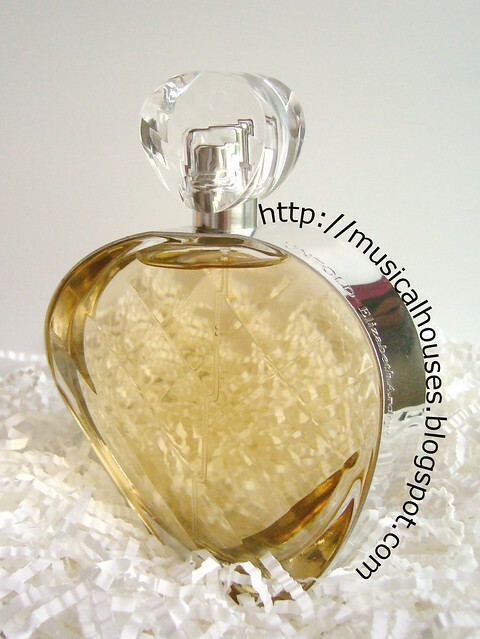 Elizabeth Arden's Untold, in its own way, is thus perhaps a standout in the Arden canon of perfumes. While Red Door is a little more statement-making and Green Tea is a little more unisex, Untold is a great everyday perfume for the modern girl - it's cozy, wearable, and soft all at once, and conveys a sense of femininity without resorting to being cloying, overly-sweet or just plain migraine-inducing. I do like this, and I'm sure the modern female for whom it is made would, too. Hmmm...interesting. I would love to try samples of this perfume. Kinda curious on its scent. Just trying this now & I surprisingly like it. I've only had it on about an hour, so waiting to see how it lasts. I've been trying to find something that is not too young or too old, and this seems perfect for my "almost 40" self.